check if lopsided or heavy sided. and if they sent a package or letter. the need for twine or string. not weighed by the Post Office. 6. No postage or non-canceled postage. is Here” – “Prize Enclosed”. 10. Generic or incorrect titles. person asking if the item was received. 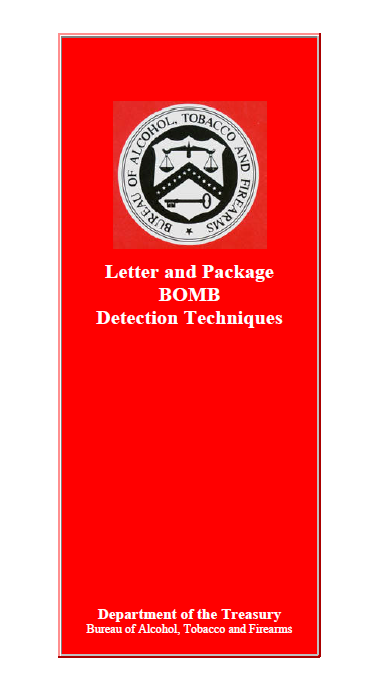 what is or is not a bomb.